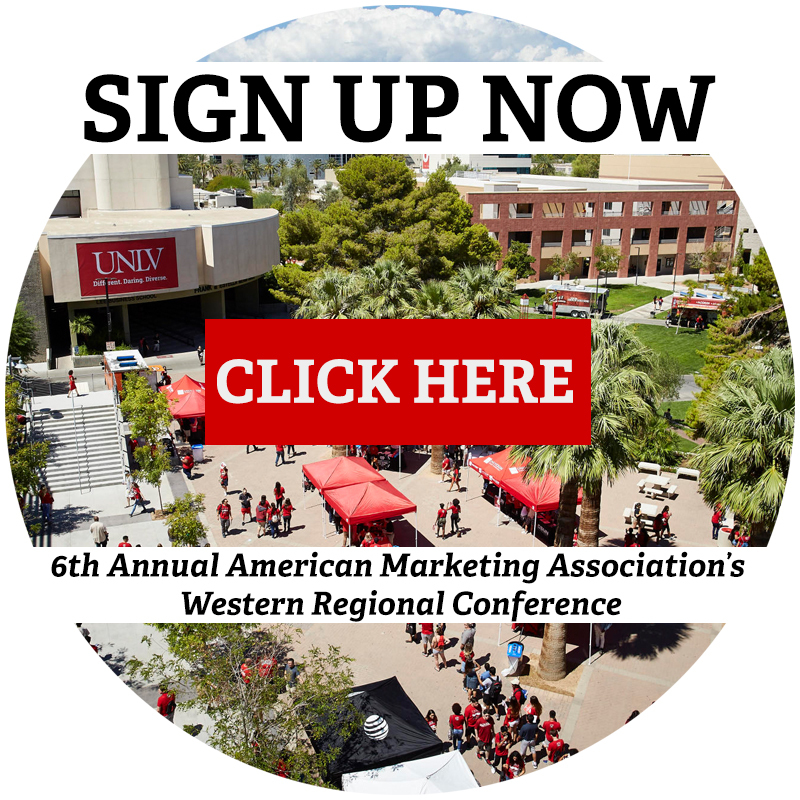 UNLV | AMA — The 6th Annual American Marketing Association’s Western Regional Conference is Here! The 6th Annual American Marketing Association’s Western Regional Conference is Here! The UNLV AMA wants to invite you to the 6th Annual American Marketing Association's Western Regional Conference. The conference is being held on January 25-26th at the Lee Business School on the campus of UNLV. This event will be an interactive, informative, and entertaining, with keynote speakers from the Las Vegas area and our dedicated successful alumni. You do not want to miss this Immersive Marketing Experience! For more information, contact UNLV AMA President Demetri Philippou philippo@unlv.nevada.edu or Faculty advisor - Jack Schibrowsky John.schibrowsky@unlv.edu 702.769.4476 (cell).